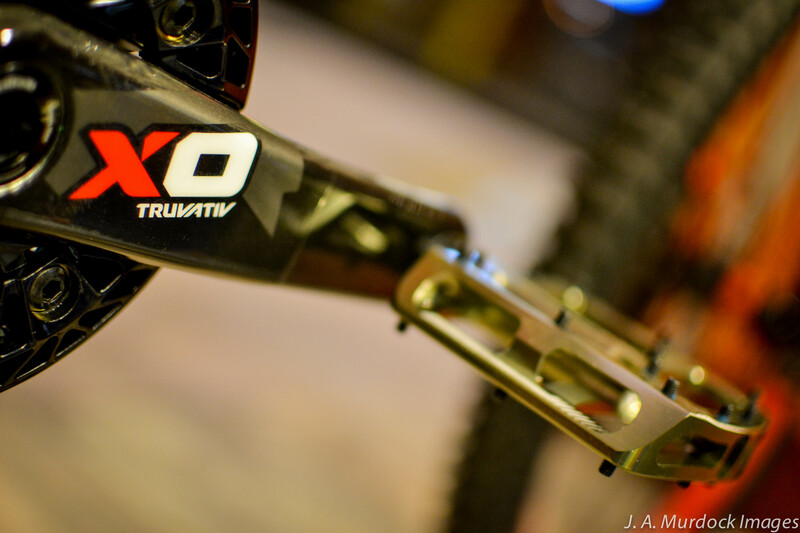 Sram’s downhill-specific X0 groupset is the lightest and stiffest gravity drivetrain available. 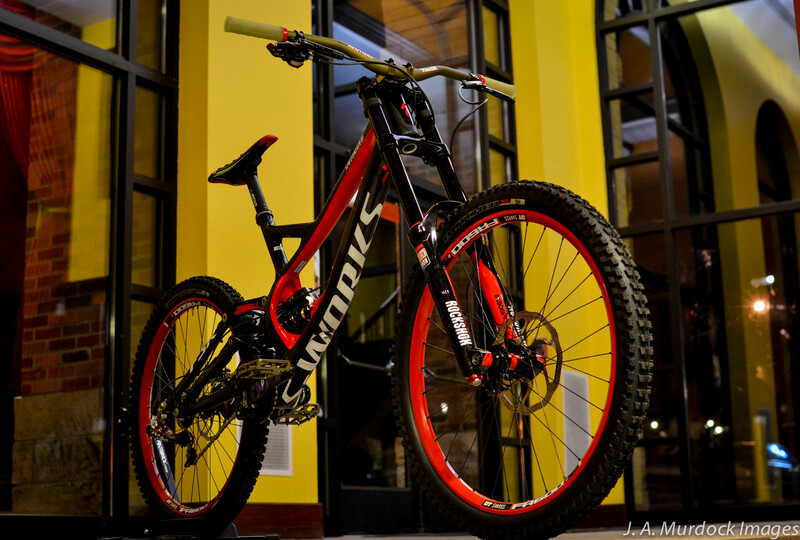 This is what the Pros ride. 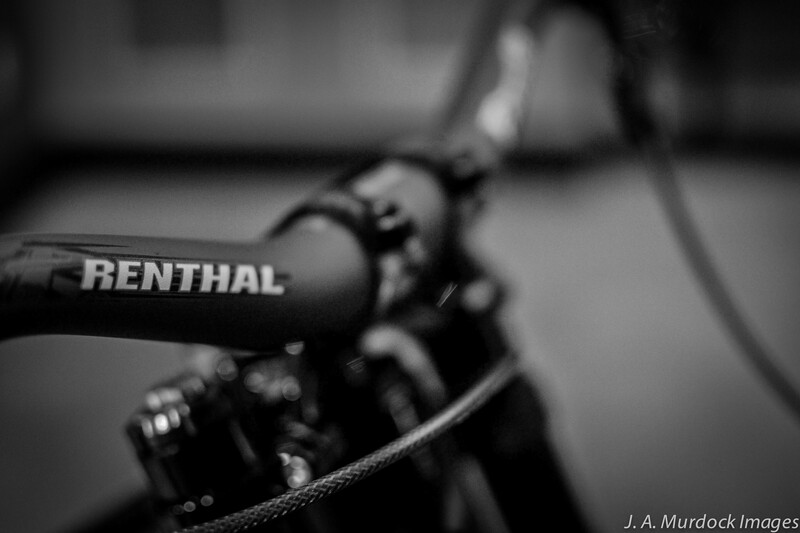 Renthal’s Fatbar is one of the stiffest, lightest and widest in the industry. 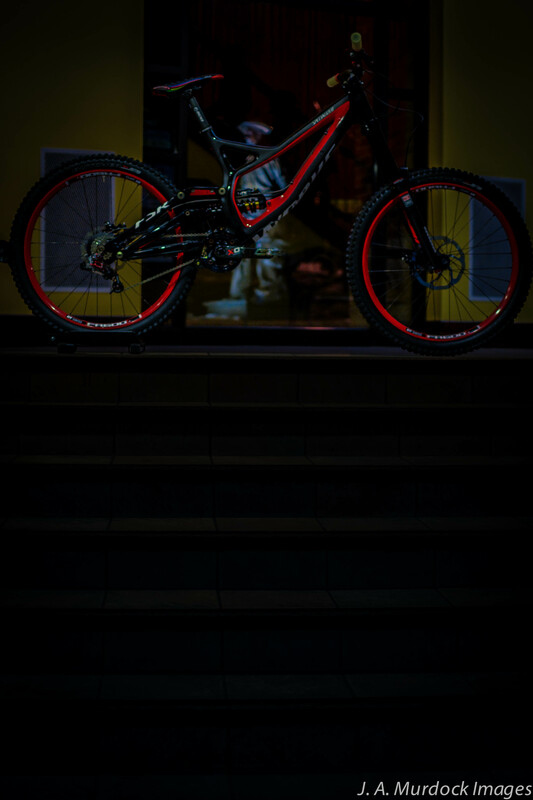 For a company with a background in motocross parts, they’ve been quite successful in their foray into cycling. 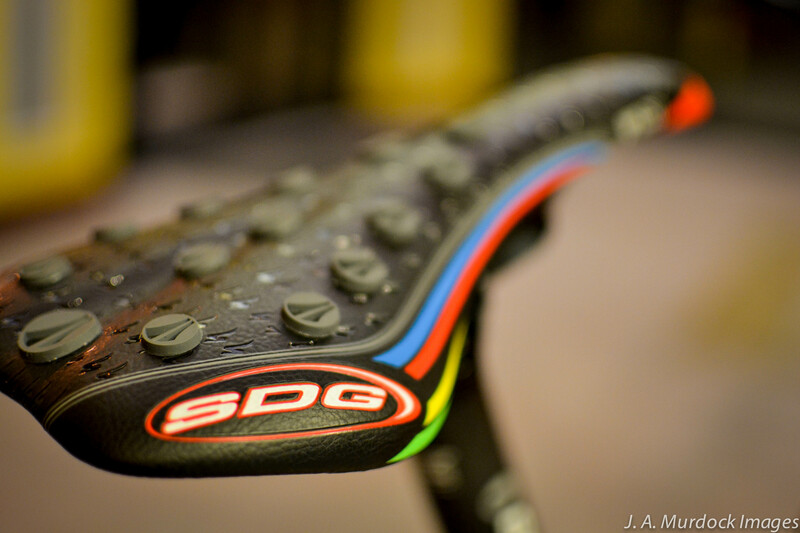 SDG’s DH saddle features rubber grippers to give the rider extra control and stability. 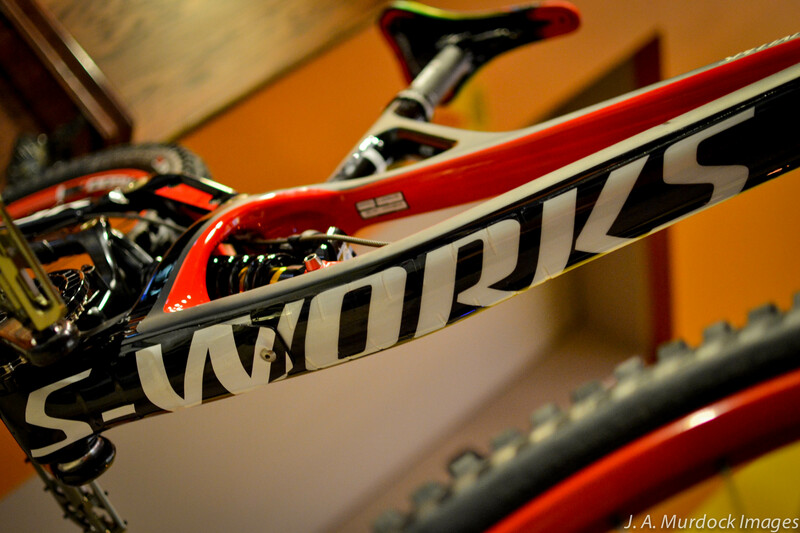 The S-Works frame features a front-triangle mad of Specialized’s FACT carbon. 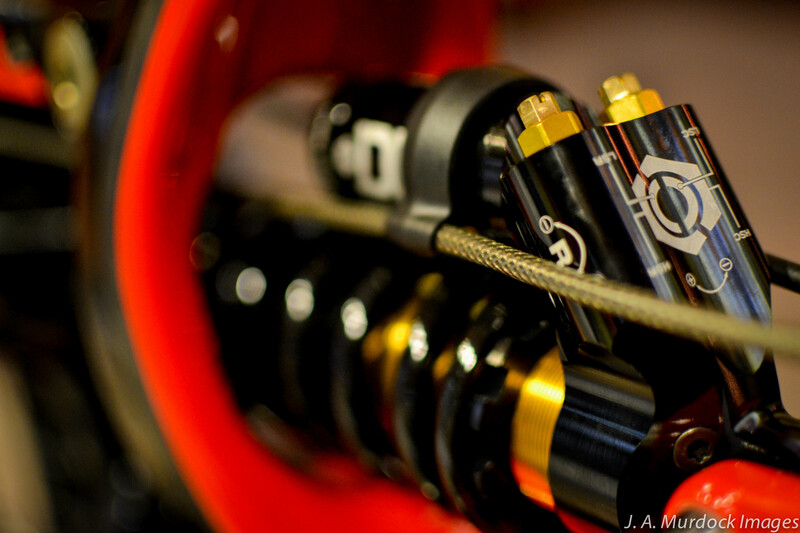 Not only is Cane Creek’s Double Barrel shock one of the most well-performing shocks on the market, it is also the most highly tunable. 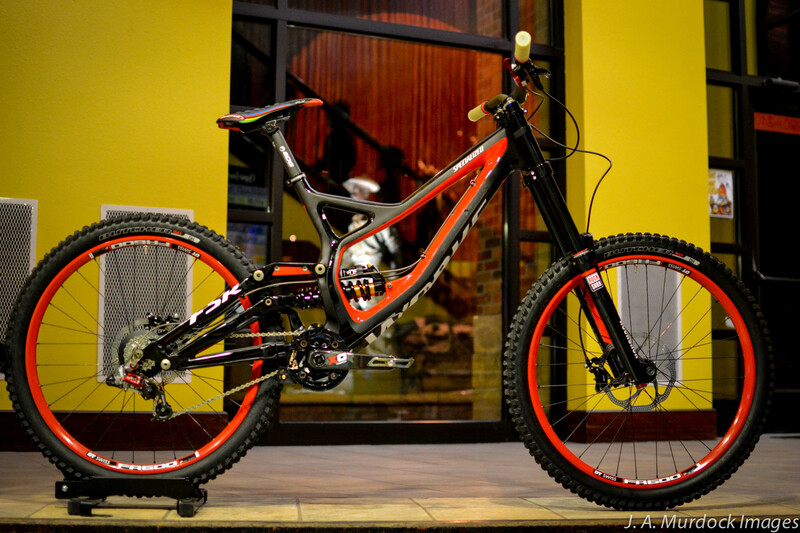 This entry was posted on Thursday, December 12th, 2013 at 2:00 AM and is filed under Peak Cycles Bicycle Shop. You can follow any responses to this entry through the RSS 2.0 feed. You can leave a response, or trackback from your own site.